If this puts you in the mood to head down to Furniture Row then you’re sure to find plenty of bargains to be had. Summer is actually a good time to buy furniture as dealers are eager to clear out the showrooms in anticipation of the fall arrivals. There are also special sales come up on holiday weekends which can really add up to significant savings. What are you in the market for? 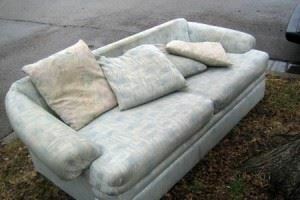 A new sofa? A bedroom set? Before heading out to Furniture Row make sure you measure where the new pieces are going and whether or not they will fit in the door. Ask any furniture dealer and they are sure to tell you horror stories about sofas not getting through the front door. Then there will be the issue of getting rid of your old furniture to contend with. That will actually be the easiest part of replacing furniture especially when you hire Junk King Denver to handle the task. These are the professional junk haulers serving the Denver and Boulder area. By “serving” we mean sending over a capable crew to lift and load whatever you’re tossing out. All of that junk will end up on the back of their truck to be taken away and properly disposed of. What are customers saying about Junk King Denver? If Junk King Denver was a Broadway show it would run for a long time with reviews like that! How can Junk King help you? Give them a call today to talk about taking away your furniture. Before you know it your home will be junk free and you’ll be adding a rave review! This entry was posted in Boulder Furniture Disposal, Boulder Junk Removal, Denver Furniture Disposal, Denver Furniture Pickup, Junk King Denver, Junk King Reviews and tagged Boulder Furniture Disposal, Boulder Junk Removal, Junk King Reviews on May 28, 2013 by Paul Durant. Last updated August 1, 2017 . 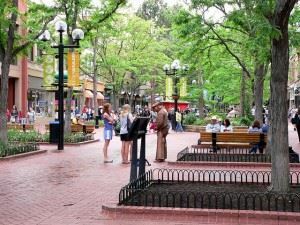 That quote comes from Fredrick Law Olmsted, Jr. and he was a proud member of the Boulder City Improvement Association who wrote those words in a report published in 1910. That would mean that Boulder Creek has always had a problem with folks leaving trash behind. Fortunately, there have been events like the annual Community Cleanup Day that brings volunteers from all over the area who are dedicated to making the parks sparkle. The event held this year was the 11th in a row that found workers of all ages pulling weeds, cleaning up trash and collecting recyclables from all along Boulder Creek. Keeping the Boulder Creek clean is a terrific way to spend a few hours on a Saturday morning. It really gives you a sense of accomplishment. Of course, so would cleaning up your own homestead. Sure you can dust and mop around the house but it that taking care of the big problem? That would be all the junk you’re holding onto. That stuff is taking up space, collecting dust, creating mold and just being an eyesore. You can finally toss it out the right way by hiring Junk King of Denver. Junk King is the professional junk haulers who provide you with a two-man crew and a huge truck to handle all the work. That would be all the lifting, loading, carting away and dumping. What do you have to do in all of that? Just pick out what you want to throw away. Sometimes cleaning up your home means cleaning up what you “inherited” from the previous owner. KC from Denver ran into that situation in his new home and was glad to find Junk King standing by. Those are the kind of rave reviews Junk King Denver always gets. Put them to work for you today and you’ll be singing their praises, too! This entry was posted in Boulder Junk Removal, Denver Debris removal, Junk King Reviews, Junk Removal Reviews and tagged Boulder Colorado Junk Removal, Boulder Junk hauling on May 14, 2013 by Paul Durant. Last updated August 1, 2017 .